OMG! 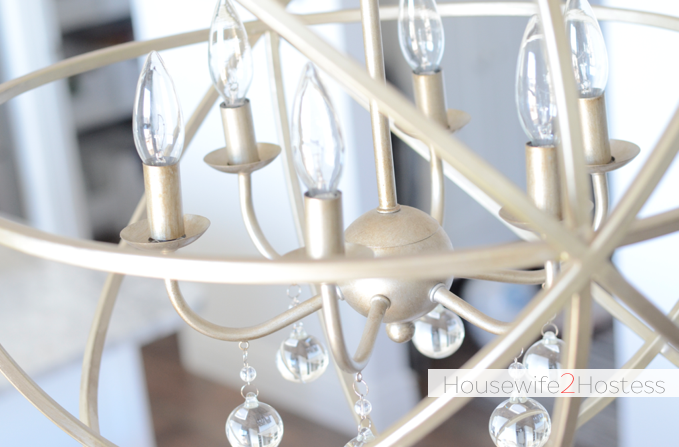 After buying (and having my Hubby hang all) three different chandeliers I’ve finally decided on one! Which was just in time because when my husband was hanging this orb chandelier he informed me that he wouldn’t be hanging up anymore. The things we do for love, right? Lets step back for a sec. 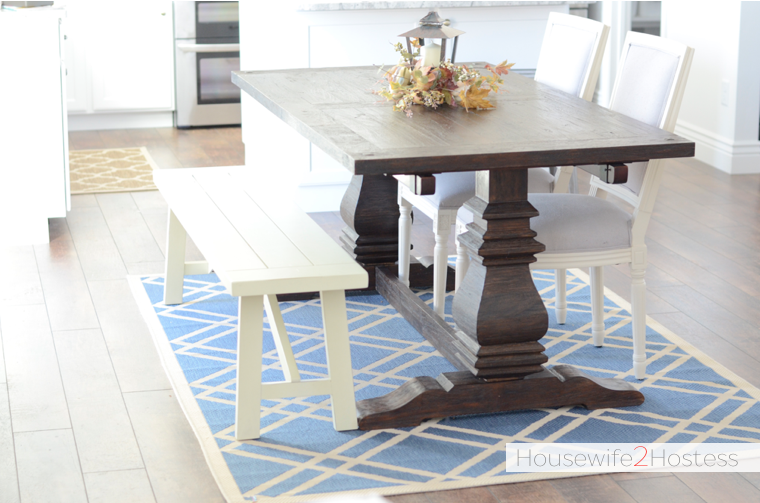 Remember my post about my original dining room decor plans? 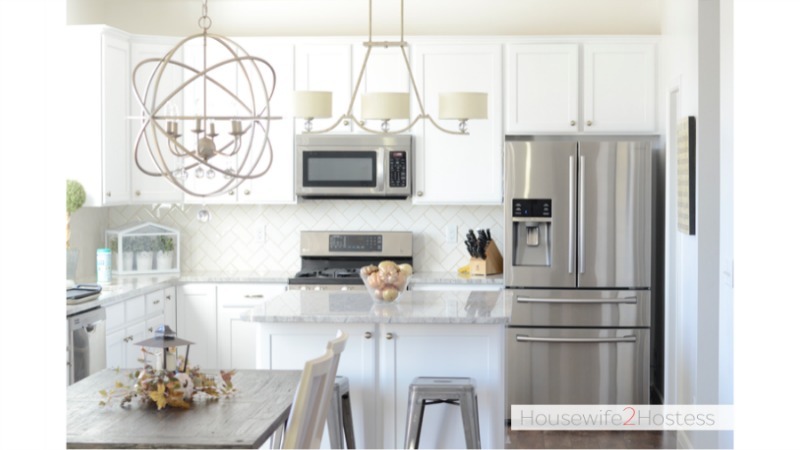 I have a confession: I ended up buying the black chandelier (even thought my gut told me not to) from Home Depot. I had to find something ASAP because the other one wasn’t working for me, or anyone I’m sure. Then it looked like this, ahhh! Cue the scary music from Psyco. This fixture was wrong on so many levels and it looked even worse than the first one, how is that even possible?! 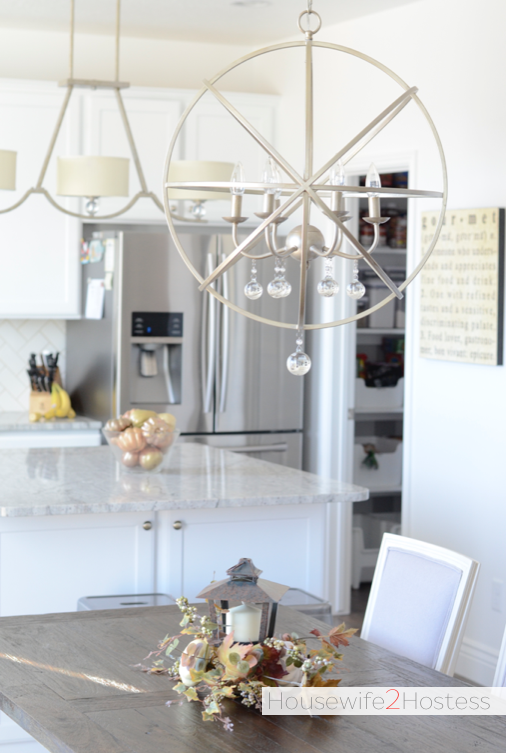 I guess third time is the charm because this orb chandelier couldn’t be any more perfect! 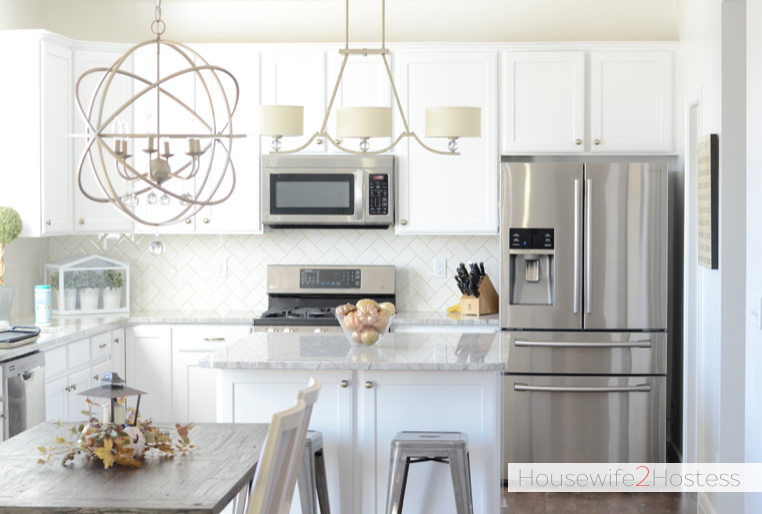 This chandelier is from Overstock and it is a perfect match to the kitchen light fixture (wayfair.com) and cabinet hardware. I’m so glad I saw the light (pun intended) because this room came together better than I imagined.